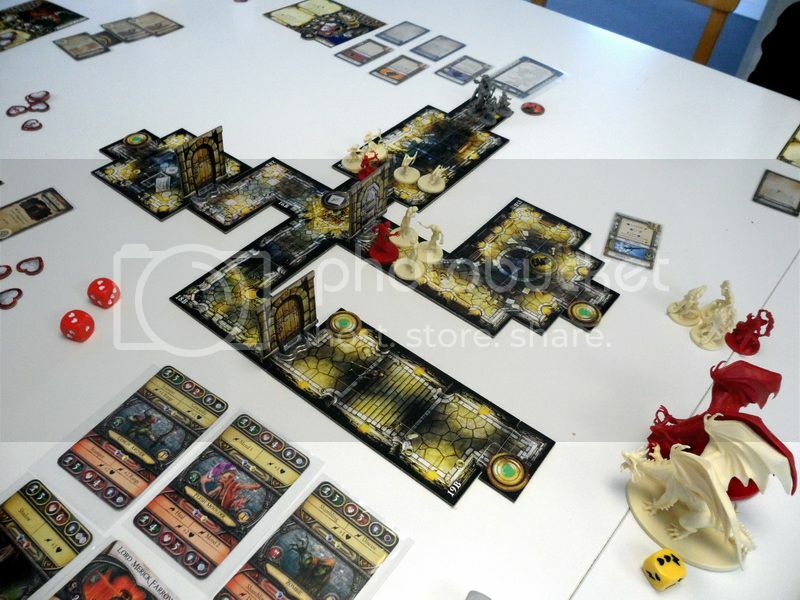 Descent 2nd edition kampanjen fortsatte i helgen, delade upp det i två inlägg (andra kommer om nån dag) då det var väldigt mycket text och bilder. Det var väldigt trevligt att köra spelet med 5 spelare (Overlord + 4 hjältar) för första gången. Funkade väldigt bra. The heroes are travelling to the Cathedral in order to meet cardinal Koth who has a powerful artefact to help them out on their quest to defeat the Overlord. As they approach the they notice that the someone is desecrating the graveyard beneath the Catedral, lord Merrick Farrow is raising undead and sending them towards the Cathedral. The heroes must race to stop the abominations, but since their path has been blocked off by a magical barrier of lord Merrick Farrow's minions they must fight their way past them first and find the magical key to dispel the barrier. 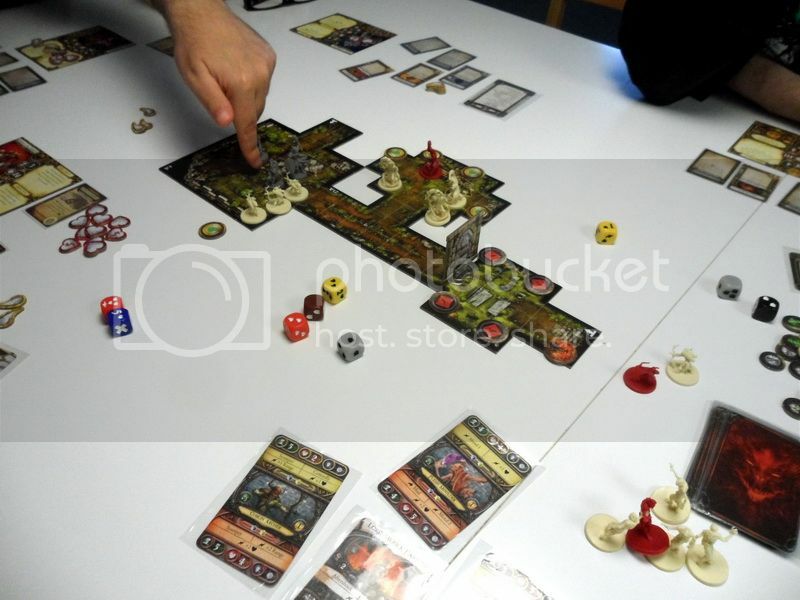 Time is of the essence as the more zombies are raised and exit the board the tougher it will be for the heroes to save cardinal Koth in the second encounter."